July 10, 2014 @ 1:00 p.m. 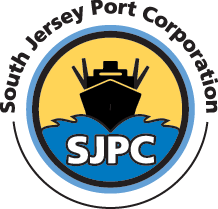 In accordance with the Open Public Meetings Act, N.J.S.A 10:4-6, the South Jersey Port Corporation is providing notice that the Board of Directors will hold a special teleconference meeting on Thursday, July 10, 2014 at 1:00 p.m. EST in the SJPC Boardroom located in the Broadway Terminal, 2500 Broadway, Camden N.J. 08104. The meeting is open to the public. The purpose of this meeting is to consider the 1) Holtec Development Agreement, 2) the Camden Waterfront Development/Holt Term Sheet for Broadway Pier 5 and Paulsboro Marine Terminal and 3) affirm the recommendation for the award of bid for the Paulsboro Marine Terminal Wharf Construction Project. A portion of this meeting may be closed to the public.